Victoria’s defence manufacturing industry is showcasing its world-class capabilities to take on major defence contracts at the Land Forces 2016 exhibition in Adelaide this week. Minister for Industry and Employment, Wade Noonan said the Andrews Labor Government is supporting 17 local manufacturers to display their commercial land defence capabilities at the three day expo, which is attended by defence and trade delegations from around the globe. He said Victoria’s capabilities make it the logical choice for the manufacture of the Australian Government’s $5 billion Combat Reconnaissance Vehicle acquisition program, also known as LAND 400 Phase 2. “Victoria’s track record of supporting military vehicles make it the natural home to build the next generation Combat Reconnaissance Vehicle and military vehicle programs well into the future,” Mr Noonan said. He said Victoria’s, strength in defence manufacturing has been highlighted by the $1.3 billion dollar Commonwealth contract to build the new Hawkei military vehicle in Bendigo, and by Lockheed Martin’s decision to locate its first R&D Centre outside the United States in Melbourne. 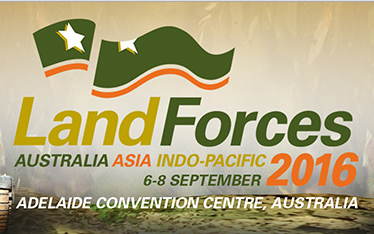 “The Land Forces 2016 conference showcases how Victoria’s highly capable defence industry stands ready and able to support global land defence projects,” the Minister added. The Victorian defence industry includes more than 300 businesses, directly employing around 7,000 people who make equipment and provide services for defence activities. It contributes up to $8 billion to the state’s economy.